This was a hard exercise for me because I love art supplies. I just don’t know how to use all of them yet. I’ve never tried using a Q tip for blending – I’ll have to try that! I got an electric eraser recently too and it’s so useful. 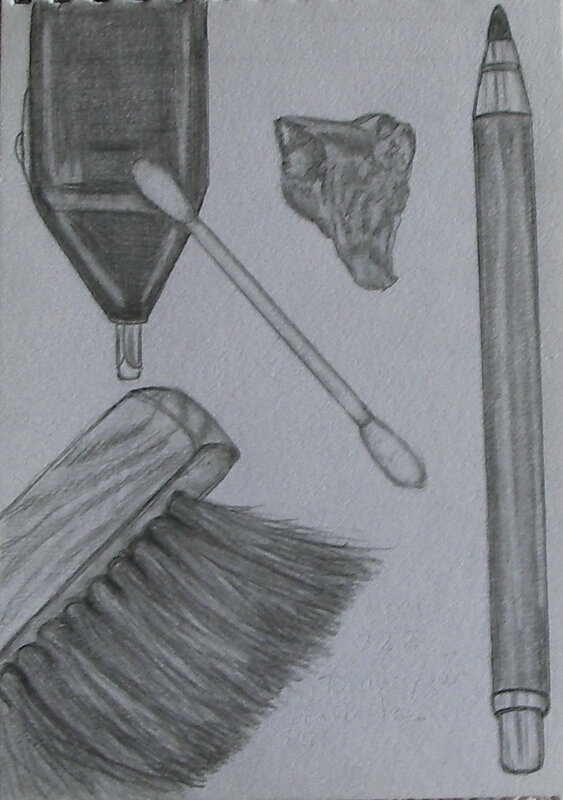 I like how you captured the different textures from the wood grain in the drafting brush, the fluffiness of the Q tip to the crumble of your needed eraser. Very nice. they all look so real that if you lifted up the paper they would fall in the floor.